Whatever the business company deals with, payroll processing & management is the most critical aspects and it has a direct effect towards the business growth. Companies are now struggling with the increasing intricacy and global perspective of payroll. As companies increasingly look beyond local needs, the Payroll operations complexity has evolved so that the payroll sophistication has improved. As a result, the requirements and needs of Payroll outsourcing companies have increased. With payroll processing already outsourced, companies are now seeking to integrate and support cloud and HR platform-based Payroll management & processes. With a single professional Provider of Payroll outsourcing services, these requirements can be attained, with key benefits of visibility, time and cost saving. As stated earlier, Payroll outsourcing services have a direct impact on the growth as well as the profitability of the business. Timely processing of payroll in the company is significant in the perspective of employee satisfaction and timely and error-free compliance of payroll calculation has huge significance for the business. Here are some of the compelling reasons organizations may want to outsource the Payroll services in India. · Payroll outsourcing Saves Time – It takes the huge amount of time in payroll preparation as it is a time-consuming process. Plus, there are involvements of several data in it and thus outsourcing Payroll process helps the management of the business to focus towards the business growth rather playing with the numbers. · Access to Expert Team – The expert team is constantly updated on latest trends and changing regulations on payroll process. The expert team is more adjusted to Best Payroll Practice in the marketplace; they can source for the best software. They are in touch and aware of all the legal requirements. By outsourcing payroll management and processing, the company can take advantage of this competence. · Efficacy of Data – The leading Payroll outsourcing companies have the expert team of Payroll specialists who have all kind of modern knowledge and information about the payroll services along with new tools to prepare the same. It is not possible for the business to acquire all sorts of knowledge about the payroll solutions. 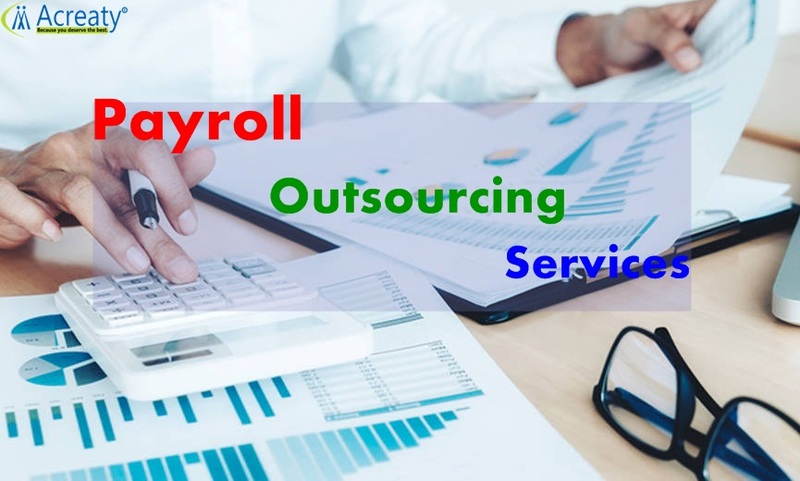 · Payroll outsourcing Saves Tax – inappropriate calculations and tax filing can attract fines and studies say that almost 40 % of business often in a lifetime gets affected because of incorrect tax filing and payment and that is why payroll outsourcing companies are the right option for the same. · Access to leading-edge Technology – Another core advantage of payroll outsourcing is the updated technology used by the leading outsourcing companies. It is significant to have updated tools and software to get the perfect result. · Privacy and Security– With professional payroll outsourcing companies, the client company can be rest assured of the safekeeping of the confidential information like pay packages and others. · Controls business costs–It may be costly to integrate the provider at first, but in the long run business costs can be saved, not to mention the fact that high compliance puts businesses at an advantage. Payroll Outsourcing providers are dedicated to handling the complete payroll journey while embracing advanced technology and techniques. Moreover, the provider offers valuable information, so companies can focus on their strategy and, their important asset – their people. Reputable professional payroll processors guarantee accurate & on-time processing and tax filing, taking on the burden of fines incurred, giving owner peace of mind.